This week in 1984 saw Wembley stage a match in the Home Internationals for the final time. Today we recall the demise and final series of the annual competition between England, Scotland, Wales and Northern Ireland, as the curtain was pulled down on the tournament after a century. August 19, 1983 marked the day when 100 years of history was effectively brought to a close. 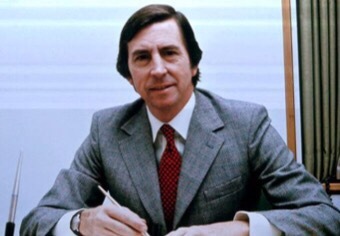 The Football Association’s international committee voted in favour of England withdrawing from the British Home Championship – also regularly referred to as the Home International Championship – after the 1983-84 season. It was not totally surprising news, but that did not soften the blow for Northern Ireland and Wales who both understandably felt snubbed and were concerned at losing out on the revenue from hosting matches in the competition. England’s annual match with old rivals Scotland – the blue riband event of the Home Internationals – would be continuing, with this adding to the woes of the jilted duo. England’s decision to withdraw and effectively end the competition’s existence was not universally supported, although – outside Northern Ireland and Wales at least – there was not the same outcry there would be if, say, the FA Cup was scrapped. The tournament carried plenty of tradition but did not boast the reverence of its near-equivalent in rugby union of the Five Nations (as was). Over time the competition had gone from being a major event to a distant third behind the World Cup and European Championship in terms of priorities. And it appears in the eyes of certain individuals in the FA hierarchy that the matches carried less weight than glamour friendlies against the sort of sides they would be facing in major tournaments – not least the fact that some of the more attractive continental sides would usually draw a bigger crowd to Wembley than Northern Ireland or Wales, with the latter’s visit in February 1983 attracting just 24,000. When Wales welcomed Northern Ireland to Wrexham in May 1982, a staggeringly low 2,315 attended. Although this was undoubtedly affected by clashing with the FA Cup final replay, it gave a strong indication of the competition’s low standing by the 1980s. There were just 24,000 in attendance when England hosted Wales in 1983. This fall in attendances in recent times was cited as one of the reasons behind the demise of the competition. The sad irony though was that Northern Ireland and Wales both had far stronger sides at this point than at other times in the past and future and matches against them would offer a reasonable test for England and Scotland. Both also came perilously close to qualifying for Euro ’84, but like England they missed out in the final round of matches. With no UK side at the finals, their only hope of silverware at senior level in 1984 would be by winning the last Home International Championship. Ted Croker said the matches were “no longer the major attractions and crowd-pullers they once were”. Hooliganism often seems to be quoted as a key factor in why the competition folded but this was not said at the time by the FA – and the fact the Scotland match was continuing also suggests it was not a primary reason. It could also be argued that the tournament’s future had not been helped by events in 1981, a year when it was declared void after England and Wales withdrew from matches in Belfast amid The Troubles with the competition’s remaining four games taking place only as friendlies. Bobby Robson would later say England had “outgrown” the competition. With Irish FA president Henry Cavan writing in programme notes for the opening match of the tournament that “we are gravely disappointed and sad that 100 years of genuine friendship, sporting traditions and close co-operation seems to have been sacrificed for financial expediency”, there was certainly tension in the air ahead of the last British Championship. Windsor Park’s farewell to the Home Internationals brought a 2-0 win for Northern Ireland over Scotland. 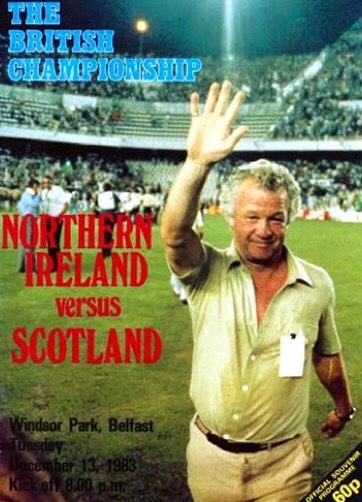 On December 13, 1983 the final series of Home Internationals began with Windsor Park hosting a match in the competition for the last time as Scotland visited. It was earlier than usual in the season for such a match to be played and came in an era when Northern Ireland were enjoying a purple patch. They had won the tournament in 1980, famously beaten hosts Spain during the 1982 World Cup and done the double over West Germany in qualifying matches for Euro ’84. Norman Whiteside, who was only 18 but had already accomplished many of life’s dreams, opened the scoring before Sammy McIlroy completed a 2-0 win for Northern Ireland. The result would carry significance in the final reckoning. Scotland beat Wales 2-1 at Hampden Park in February 1984. 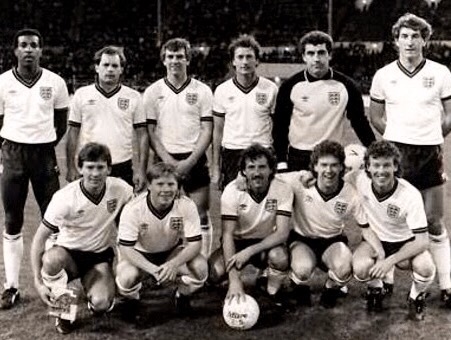 The England side that faced Nothern Ireland in April 1984. Liverpool’s Alan Kennedy was handed his England debut, on a night when Tony Woodcock headed the only goal. But England had been enduring poor fortunes lately and the match had done little to silence the critics. The Wales side that beat England in May 1984 at Wrexham. Wales were the only one of the four sides at the time not to play virtually all their home games at the same ground, with the stadiums of Cardiff City, Swansea City and Wrexham each staging matches. It was Wrexham who had the honour of hosting England’s visit on May 2, the visitors still haunted by a 4-1 thrashing at the same ground four years earlier. Manchester United youngster Mark Hughes scored the only goal on his Wales debut as they deservedly defeated England, whose inexperienced side failed to shine. Kennedy, David Armstrong, John Gregory and Paul Walsh were all never capped again. Robson wrote in 1986 of the team’s display: “They were quiet in the hotel before we left, their heads were down as we walked into the ground and we never got going on the pitch. They played badly and hardly created a chance all night, with Paul Walsh and Tony Woodcock looking a lightweight pairing… We performed like a team going nowhere fast.” Not for the first or last time in his reign, Bobby Robson greatly missed his namesake Bryan. Wales welcomed Northern Ireland to Swansea for the last game both sides played in the championship. The competition was now put on hold until three days after the FA Cup Final, when Wales welcomed Northern Ireland to Swansea’s Vetch Field. A win would give either side a decent chance of the title, while Northern Ireland would still be in with a shout if they drew. Hughes again gave Wales the lead, but Gerry Armstrong headed Northern Ireland level as the match finished 1-1. Northern Ireland’s veteran goalkeeper Pat Jennings, who 20 years earlier had made his international debut in the same stadium, had to leave the action early after Ian Rush’s boot caught him in the face. “You’d better ask the other fellow if it was an accident,” he told the media afterwards. The draw meant Northern Ireland and Wales had both finished with three points (two points for a win), with Northern Ireland’s goal difference of +1 meaning they topped the table. Whoever won between Scotland and England at Hampden Park would keep the trophy; if it was a draw then Northern Ireland would be the final winners. But history did not appear to be on their side, considering no clash between Scotland and England had finished all-square since 1970. Tony Woodcock equalises for England against Scotland. On Saturday, May 26, 1984, the curtain came down on a competition that had begun on January 26, 1884. England’s preparations were not helped by a shortage of key players, due to injuries and club commitments. 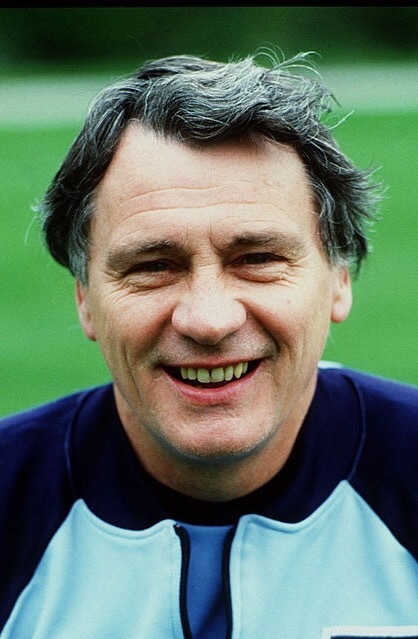 Speaking four days before the match, Bobby Robson said: “I could scream. I’m left with just one centre-half, Terry Fenwick, who has yet to have a full game for us.” Manchester United trio Mick Duxbury, Bryan Robson and Ray Wilkins flew in from Hong Kong in the days leading up to the game after a club tour, while the Tottenham Hotspur contingent appeared in the UEFA Cup final just three days before the match. No Liverpool players were involved as they were preparing to play in the European Cup final against Roma. 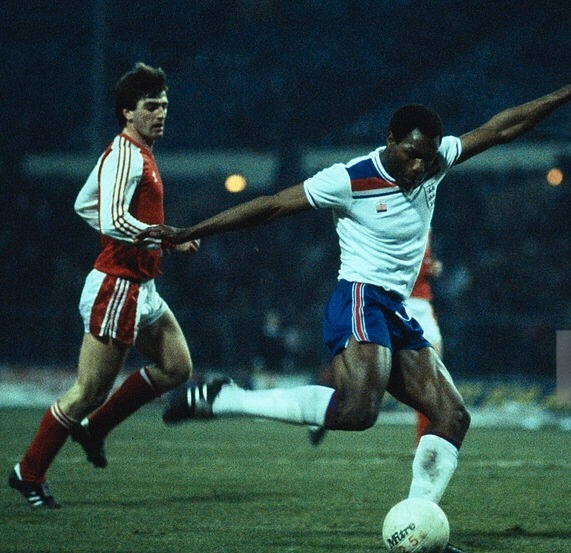 A downward header by Mark McGhee gave Scotland the lead, but England – playing with two genuine wingers in John Barnes and Mark Chamberlain – pulled level before the break. Tony Woodcock collected the ball some distance from the goal, cut inside and unleashed a spectacular left-footed drive into the net. It would be the final goal ever scored in the British Championship and it was a tremendous effort to conclude the competition. The second half saw Peter Shilton keep England level with some important stops as the rain fell in Glasgow, while substitute Gary Lineker made his England debut. 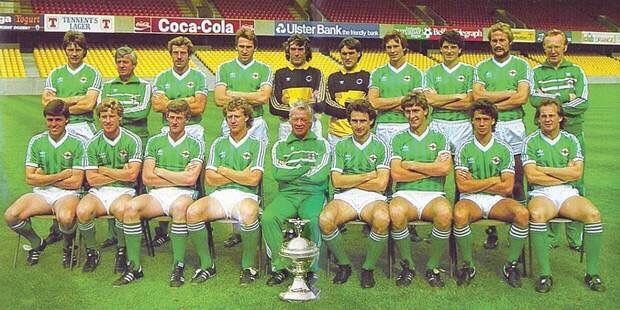 The Northern Ireland squad pictured after winning the final championship. Neither side could find a winner, with the match ending 1-1. And so the competition finished with all four teams locked on three points. Northern Ireland took the honours thanks to having a goal difference one better than England and Wales and two better than Scotland. Wales were second by virtue of having scored more goals than England, as the ‘big two’ occupied the bottom spots in the table. The trophy was Northern Ireland’s to keep, as England and Scotland continued their annual clashes in the Rous Cup. But that would only last five years before the plug was pulled. In the ensuing years there would be occasional calls for the Home Internationals to return, most seriously after all four sides failed to qualify for Euro 2008. Three years later there was again talk of the competition being revived to mark the FA’s 150th birthday in 2013. This came to nothing, although England did meet Scotland in a friendly. A similar competition, the Nations Cup, was played in the Republic of Ireland in 2011 featuring the four British Isles nations except England. But this would prove short-lived amid low attendances, with the competition’s failings perhaps confirming that there would be no comeback for the Home Internationals either.